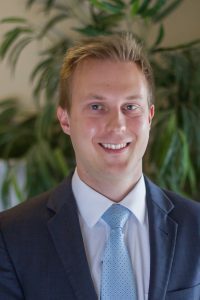 Adam Czaya is an Associate Attorney at the Keith Taylor Law Group and is licensed to practice in Florida and Maine. His fields of practice primarily include Probate, Estate Planning, Business Law, and Civil Litigation. Attorney Czaya attended the University of Florida, where he obtained a Bachelor of Arts degree in History and a Bachelor of Arts degree in Russian. After graduating from the University of Florida in 2007, he earned his Juris Doctor from Stetson University College of Law. Attorney Czaya was admitted to the Florida Bar in 2011 and the Maine Bar in 2019. Attorney Czaya joined the Keith Taylor Law Group in 2011. He is a member of the Florida Bar, the Maine Bar, the Florida Bar Young Lawyers Division, the Florida Bar Real Property, Probate, and Trust Section (RPPTL), Nature Coast Rotaract, and is a current member and a former President of the Citrus County Bar Association.